The Observatory. Dark Folke. Singapore, 2009. On their fourth album Dark Folke, The Observatory continue charting a path that, quite frankly, no other Singaporean band has managed to do over the span of five years. From their debut Time of Rebirth (2004) to Dark Folke, the band has incorporated elements of electronica, jazz, and folk into their brand of experimental rock. 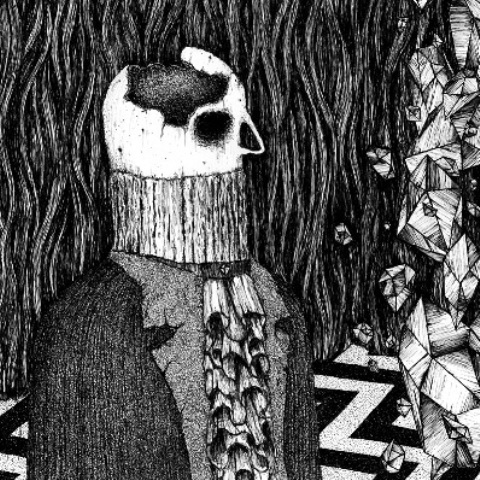 And now they veer into drone metal – the cover art is a giveaway, featuring the work of Justin Bartlett, the man behind the album art of drone metal band Sunn O))). 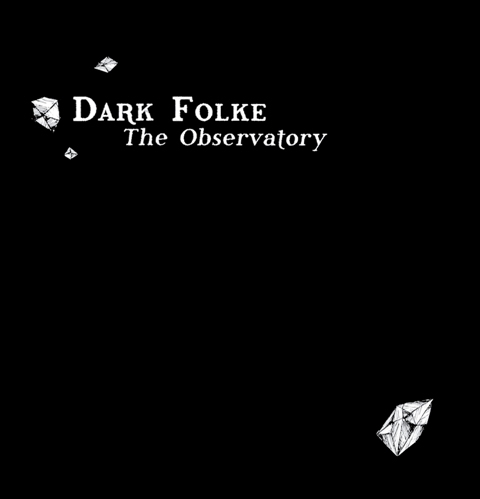 It is tempting to call Dark Folke a Leslie Low solo record backed by the other members of The Observatory. The Tortoise-styled band interaction and prog-rock rhythms on A Far Cry from Here are traded for a more solitary, singer-songwriter approach. Interestingly, Dark Folke also harks back to Leslie Low’s output in Humpback Oak, known for its feeling of oppression. The themes of Humpback Oak’s classic track “Ghostfather” are rehashed in “The Boring”, where Low sings “O dad / I won’t make it / I know dad is gone / O mum / I woke up / The noisy boring every morning”. I have no idea if Low intended for ‘boring’ to mean ‘tiresome’ or ‘drilling’, but both interpretations are suitable self-reflexive descriptors of the song – which isn’t necessarily a bad thing. The Observatory are pushing the limits of the listener’s tolerance on Dark Folke. The mood of the record, as indicated by the title, is foreboding – the textures are harsh, and the production is the grainiest so far in their catalogue. This is probably The Observatory’s Kid A in terms of how one would be hard-pressed to find a single to release off the album or get radio airplay. Moving away from the melodious constraints of song, Dark Folke veers towards ambience – an almost asphyxiating kind. There are no hummable choruses within listening range and the songs are slow – many of them more dissonant than the Observatory’s previous releases. The chainsaw guitars hacking through “Decarn” possibly make it the heaviest Observatory song recorded so far. “Blood Rising” is a close second with its climax that sounds like a proper tornado. Drums make less of an appearance on Dark Folke, and without drums to serve as a skeletal structure and propulsive force, most songs on the album contain a meandering feel. Given the space to breathe, the songs allow the Obs to develop their exploratory tendencies. Low incorporates the slide guitar on the album, expanding the already wide vocabulary of folk music in the Obs’ music. Low’s admiration for Nick Drake shows up once again – the title Dark Folke is an anagram of ‘Drake Folk’ – but in addition to Nick Drake, the influence of experimental folk is palpable. The guitar playing on “Ephemeron” is reminiscent of Robbie Basho and John Fahey, both avant garde folk guitarists influenced by Eastern music. Still, Dark Folke is hardly a sharp change in the band’s direction despite how it confronts the listener. The Observatory have made no secret of their influences – in a previous incarnation of their website, I remember them listing Tortoise and Robert Wyatt. So Dark Folke sounds more like a band showing different aspects of their craft, as if the Obs were making a Robert Wyatt record as opposed to a Tortoise record. In fact, come to think of it, Dark Folke sounds like Supersilent fronted by Nick Drake, both of whom have been name-checked by The Obs [Editor’s note: It is telling from the covers the band played at the end of the Hexa gigs what they are into – Nick Drake (River Man), Pink Floyd (Breathe), Japan (Ghosts), Robert Wyatt (Sea Song) among others.]. In June, The Observatory announced a series of six concerts, Hexa I-VI, from July to September in promotion of Dark Folke. Unfortunately, as I am away from Singapore, I did not see any of the shows. It would be interesting to know how the songs are translated in a live setting – I imagine drummer Ray Aziz would lend some muscle to the proceedings, which should be much welcomed [Editor’s note: There were no drums used for the Hexa gigs]. But what I’m really hoping for is that, given how these songs are looser than those on the Obs’ previous two albums, they can enjoy a reworking like what Radiohead did for Kid A and Amnesiac on the wildly successful I Might Be Wrong. Time for a live album then? i’ve a 2 vids i took when i attended the 2nd last performance. it might give you a feel to how it felt for me.